A.S.K. 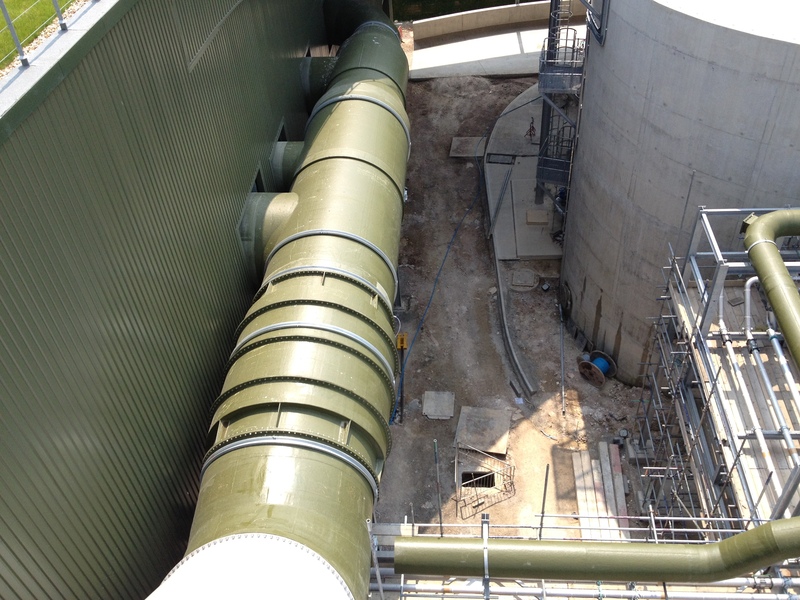 Piearcey Ltd were engaged by their exclusive waste-water treatment partners Plasticon UK, to carry out the process design and flow balancing of a flag ship odour control plant situated on the South Coast. 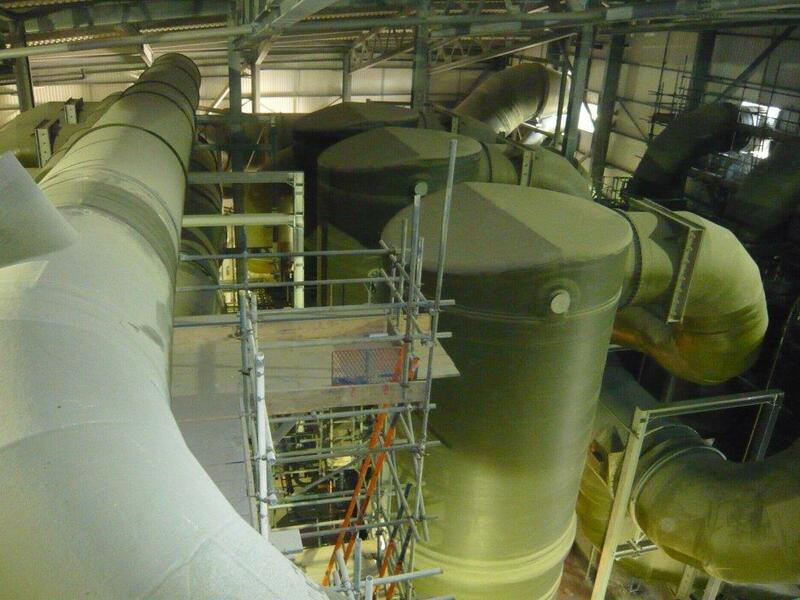 The system handles up to 250,000 m3/hr of odorous air from the main plant and there 2 further satellite systems handling approximately 3000 m3/hr each. 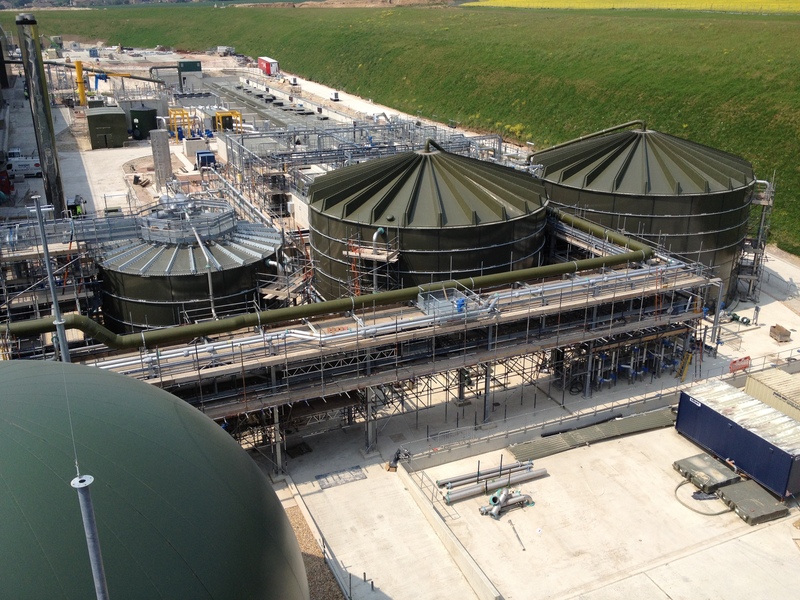 ASKP Ltd provided the process design based on a concept from the main process consultant. 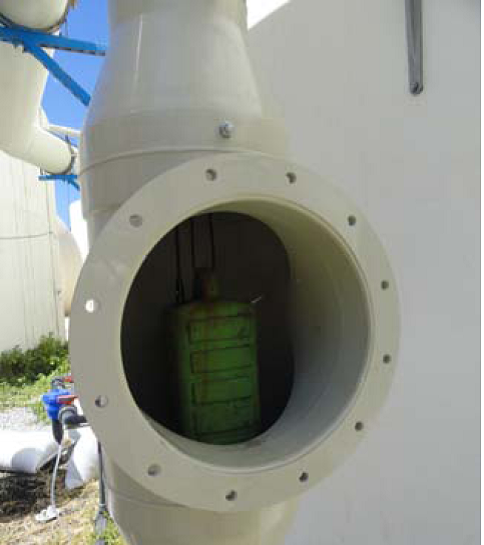 The system comprised venturi scrubbing for dryer off-gas solids removal and acid scrubbing for ammonia removal. 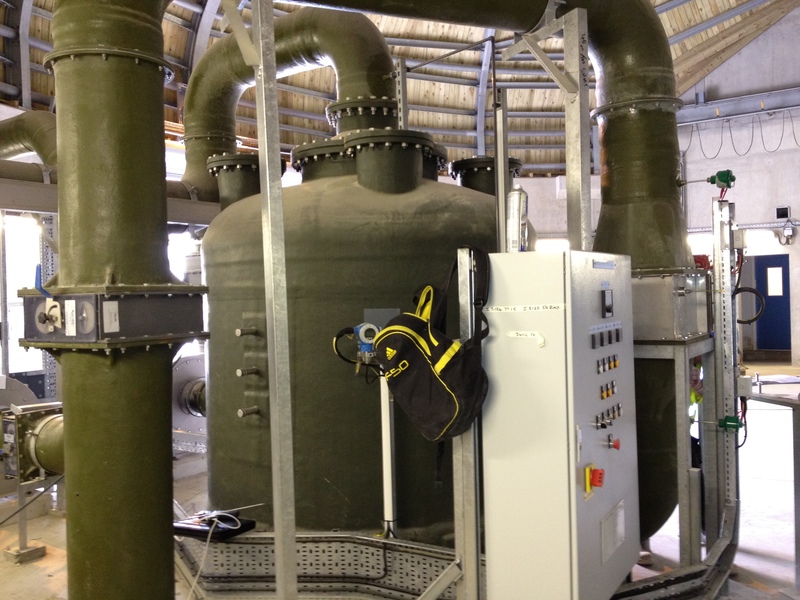 This was followed by caustic-hypochlorite scrubbing and final carbon adsorber polishing. The venturi system handled up to 19100 m3/hr of dryer off-gas but had 2 modes of operation with automatically varied flow control set point and alarm level adjustment. The venturi throat could be varied by means of an adjustable throat plunger and worked on a constant overflow of final effluent from the separator vessel (above). 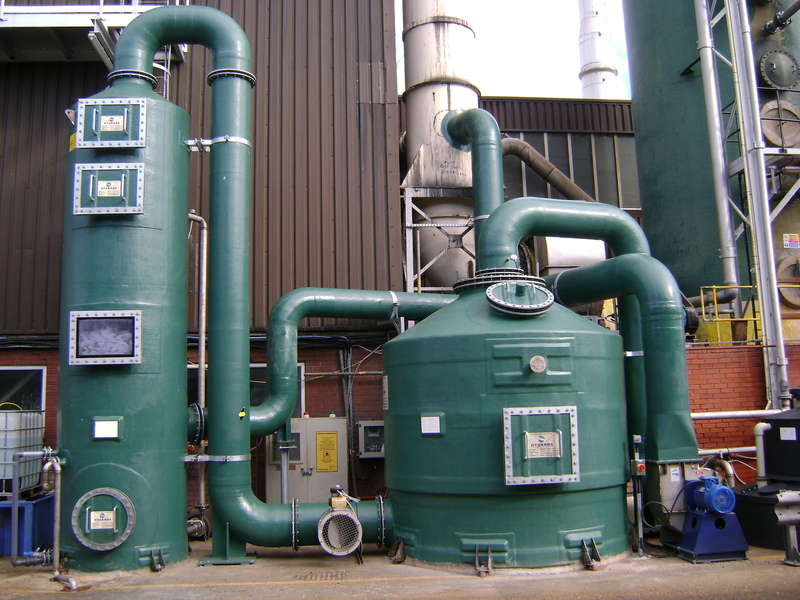 The Acid scrubbers handle around 47,000 m3/hr of the high odour (from direct coupled extracts) and are there primarily to remove ammonia and some of the amine present. The 3 carbon units held around 125 tonnes of copper oxide impregnated carbon to fine tune the odour control performance of the system. Each had to be loaded with a specially built carbon loading system (above). The air was conveyed from the various field extract points via a vast network of ducting. 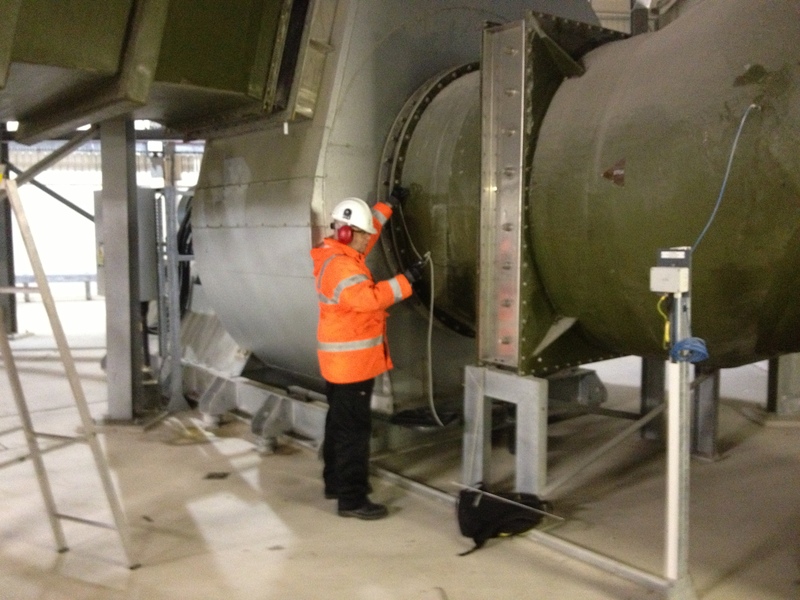 The ducting was fabricated up to 3m internal diameter to meet the agreed velocity consents. Carbon adsorber units, also containing copper oxide impregnated carbon were used for odour control in satellite pumping stations. The system below shows a system with duty standby extract fans and local control panel. The Entire project value was circa £6.5 million. ASKP also assisted with HAZOP, HAZChem and commissioning. 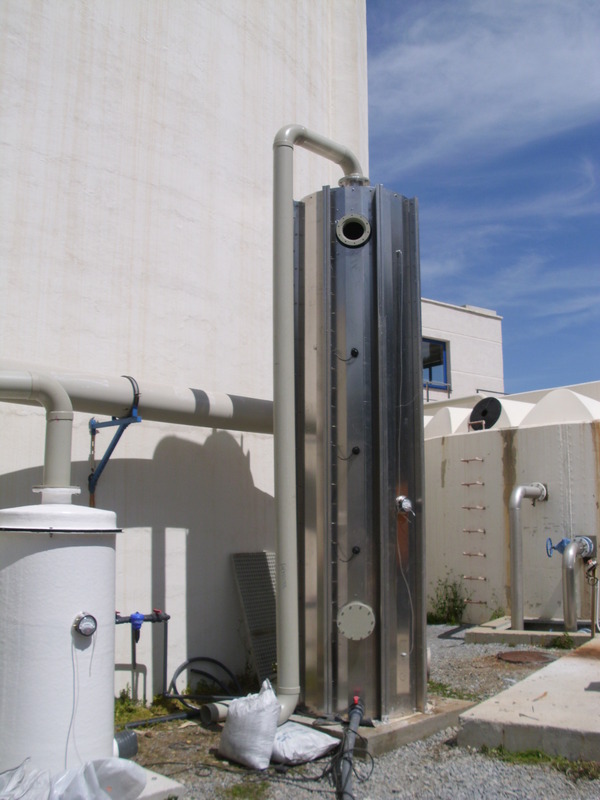 We provided Detailed Design, Operational instructions, Control Philosophy, commissioning schedule and training for the entire odour control system. A.S.K. 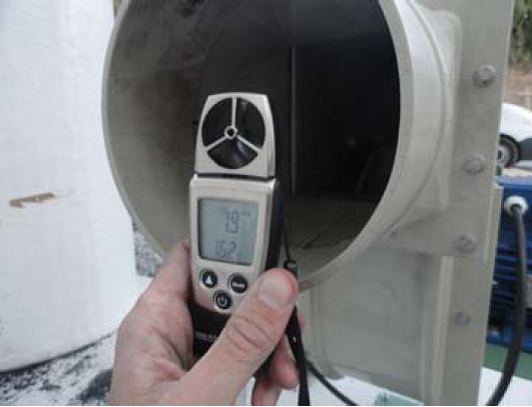 Piearcey Ltd were engaged by PDM (John Knights) to look at a means of improving the existing odour control at their Silvertown Facility in London. Stage 1 a site visit to inspect the current system and gather the relevant design information. Which included a proposed additional test regime carried out by PDM. Stage 2 a conceptual process design to provide a system capable of handling around 8000 m3/hr of concentrated odours which worked with the existing boiler incineration route to provide constant, seamless and reliable odour control. The design is currently being procured for another PDM site in Nuneaton, for a larger air flow. Our design was adapted and constructed in a very short period of time to provide an odour control safeguard in time for the London Olympics. The system was a great success, dramatically reducing the number of odour complaints, even with the additional footfall during the summer months. 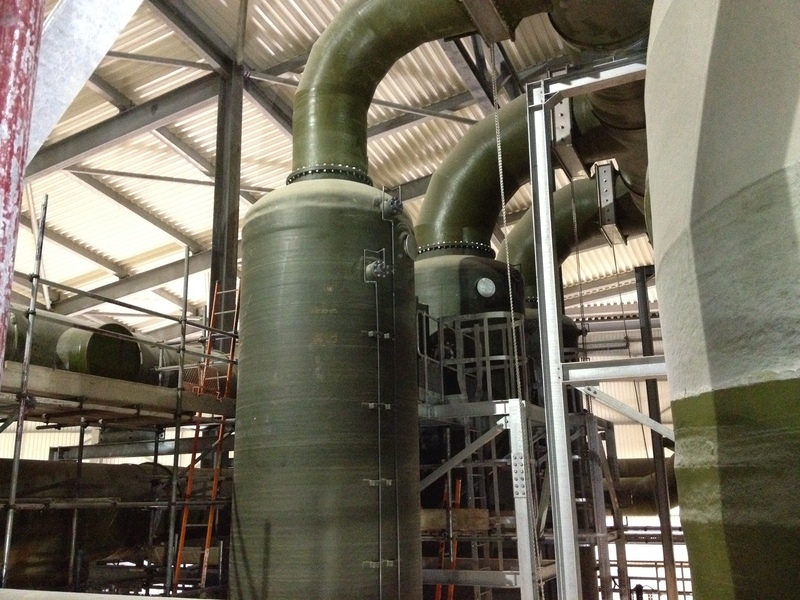 The design is an acid scrubber followed by a carbon adsorber (with specially impregnated, activated carbon). The original design also included a venturi pre-scrubber for fat removal but this was not deemed necessary for the adapted design. A.S.K. Piearcey (ASKPL) have assisted Cover manufacturing specialists JSF Hidraulica (JSF) of Madrid in developing their odour control portfolio in Spain. 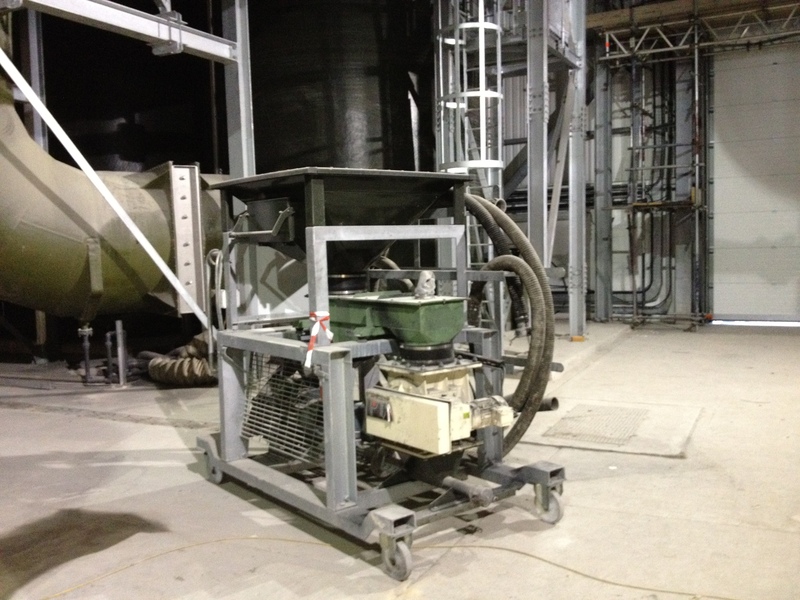 After some preliminary design work by ASKPL, JSF have built and tested a pilot system (below) consisting of a bio-filter and a Carbon polisher. 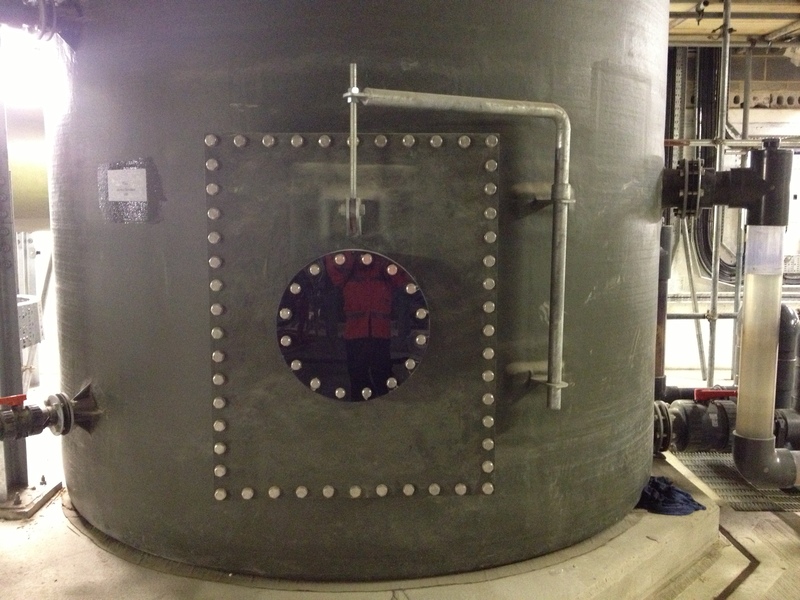 JSF have tried a number of different media in the vessels to find an optimum for sewage odour control. record and confidence in the approach suggested by ourselves. aluminium and lined with a chemical resistant liner. Measurements of air flow, H2S inlet and outlet as well as temperature and irrigation were made and data-logged where practical. 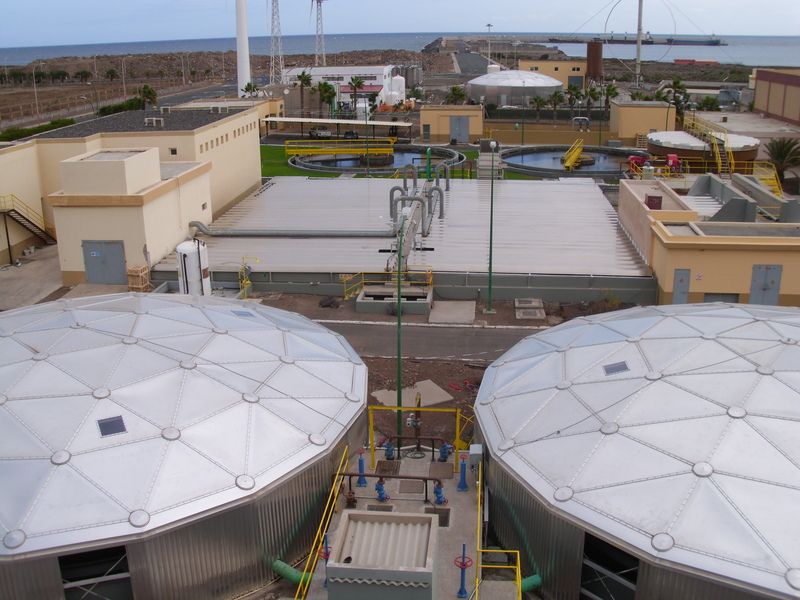 The pilot trial, in Fuengirola (south coast of Spain) was so successful that the plant manager is seeking to replace the existing scrubbers with the bio-filter approach. JSF have since secured 2 large orders involving bio-filters and carbon adsorbers with design assistance from ASKPL.